The deafening roar of the Mikoyan-Gurevich MiG-21 FL afterburner, an iconic delta-wing fighter aircraft that heralded the 'supersonic era' in the Indian Air Force (IAF) will no longer be heard after December 11, 2013, the day it is set to fly into the annals of military aviation history. Four MiG-21 FL aircraft flown by pilots from the Operational Conversion Unit (OCU), last abode of the venerable jets, will fly a 'box formation' as Chief of the Air Staff, Air Chief Marshal NAK Browne takes salute at the ceremonial parade to bid them adieu. 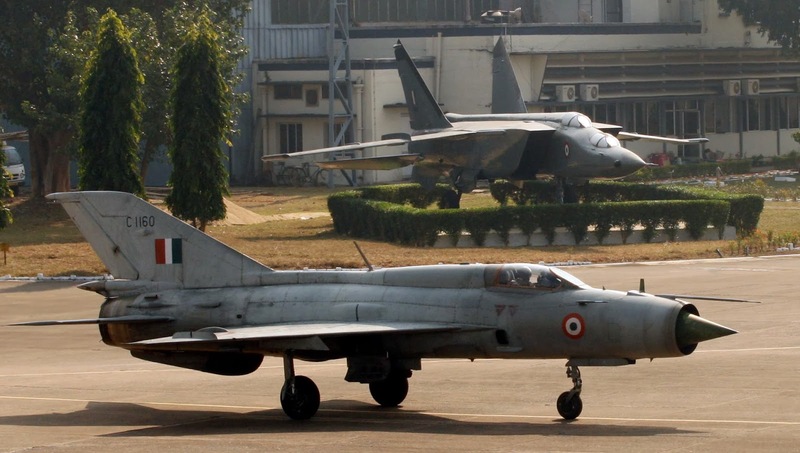 Formations of MiG-27 FL and Sukhoi-30 MKI will also flypast the parade square in reverence to the legend of a fighter jet that remains the most widely exploited platform in IAF history. It also saw action in the Indo-Pak wars of 1965 and 1971. Being limited in numbers, the MiG-21s played a restricted role in the 1965 war. They, however, played a crucial role in the 1971 war giving IAF the air superiority over vital points and areas in the western theatre. In the first ever supersonic air combat that ensued over the sub-continent in 1971, an Indian MiG-21 FL claimed a PAF F-104 Starfighter with its internal twin-barrelled guns alone. By end of the hostilities the IAF MiG-21s had claimed four Pakistani F-104s, two F-6s, one F-86 Sabre and a Lockheed C-130 Hercules. 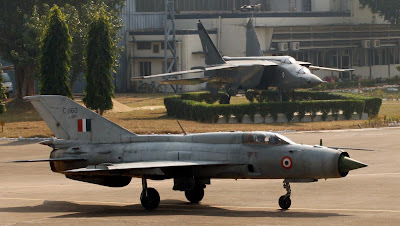 The pin-point accurate attack on the Governor's House at Dhaka by IAF pilots flying the MiG-21s proved to be a turning point in the war forcing the adversary to negotiate an eventual surrender. The MiG-21 was also fielded in the Kargil war. It was often the first choice of commanders as it provided unmatched flexibility due its unique attributes of high agility, fast acceleration and quick turn-around. The versatility of all the Mig-21 variants have immensely shaped the IAF operational philosophy for decades. The pilots, engineers and technicians who flew and maintained the Mig-21 have been strong proponents of its exceptional combat worthiness. Besides accomplishing major operational feats, the Mig-21 also ushered a revolutionary enhancement in the technological and manufacturing capabilities of our indigenous aerospace industry. With the phasing out of the Mig-21 FL, an era of relentless performance, precision deliverance and intimidating performance will also come to an end.